Raipur/Bhubaneshwar: As the general elections began with the first phase underway on Thursday to constitute the 17th Lok Sabha, the Naxal threat loomed large on some seats in Chhattisgarh, Maharashtra, Andhra Pradesh and Odisha. In Chhattisgarh, family members of late BJP MLA Bheema Mandavi — who was killed in Tuesday’s Naxal ambush while his campaign convoy was passing through Nakulnar region in Dantewada — cast their vote in Gadapal village of Dantewada district, defying the threat perception that they would stay away from the democratic exercise that saw their son’s demise. Mandavi’s last rites were performed on Wednesday. Bastar Lok Sabha seat with several pockets of Naxals strongholds was the only one that went to polls in Chhattisgarh on Thursday. Amid a renewed spurt in violence to press their ‘boycott elections’ diktat, Maoists threw a security challenge for the Election Commission and law enforcers to ensure free and fair polling in 1,880 polling centres spread across eight Assembly constituencies in five districts. 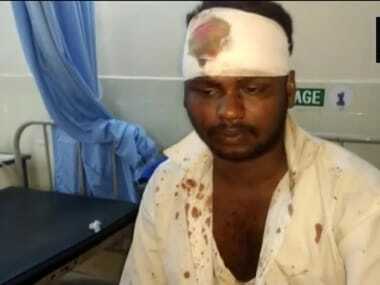 Though voting remained largely peaceful in Bastar, with an average voter turnout of 57 percent recorded till 5 pm, a few incidents of violence and neutralised threats were reported from Bastar and Gadchiroli in Maharashtra. Chhattisgarh Chief Electoral Officer Subrat Sahoo said the polling percentage in rural areas may reduce, but the actual figure will be known only after completion of the exercise. 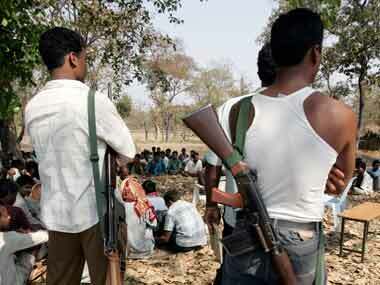 On Thursday, Maoists were responsible for an IED blast on Dandvan-Farasgaon road but no one was injured. DG (anti-Naxal operations) Girdhari Nayak said four Naxals were arrested and further interrogation was being done. An IED blast was reported in Narayanpur within a kilometre from a polling booth. The incident occurred at 4 am when ITBP troops were going to the booth. The explosion did not cause any damage. A bomb installed in a culvert was defused by a joint team of BSF personnel and district police in Koilibeda, Kanker district, Chhattisgarh. Before polling began on Thursday, security forces also arrested four Maoist rebels and seized weapons from them in Konta. On Tuesday evening, BJP’s lone legislator from Maoist-affected Bastar region, Bheema Mandavi, was killed along with four policemen. In two earlier such attacks, a CRPF trooper was killed and another injured in a gunbattle at Dhamtari district on 5 April. And on 20 March, a CRPF trooper was injured in an IED blast in Dantewada. Many polling booths in Bastar are located in inaccessible, far-flung areas. 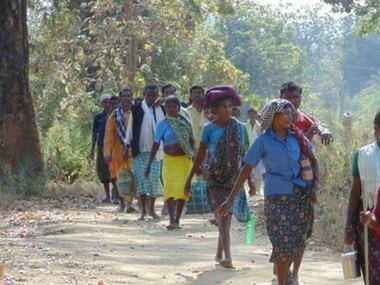 Around 224 booths in Bastar have been declared ‘highly sensitive’ and 512 are ‘sensitive’. In the core Maoist-affected areas of Bastar — Dantewada, Bijapur, Konta and Narayanpur — polling was conducted between 7 am and 3 pm. In other segments — Kondagaon, Bastar, Jagdalpur and Chitrakote — polling went on till 5 pm. 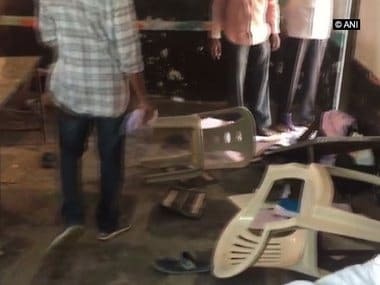 Naxals also triggered an IED blast near a polling booth in Maharashtra's Gadchiroli district on Thursday while voting was underway, police said. The blast took place at around 10.30 am in Waghezari area, around 150 metres from a polling booth, an official said. Andhra Pradesh police defused an IED planted by Maoists on the way to the Peddabailu polling station in Visakhapatnam district, claimed reports. All booths in Paderu, Araku and Rampachodavaram were declared very sensitive. A polling party in Bastar returning after conducting the election process came under Naxal attack in Orchha area of Narayanpur district. Both sides exchanged fire for over 10 minutes but no one was injured. Among the candidates in the fray from Bastar are Bahujan Samaj Party’s Ayatu Ram Mandavi, Deepak Baij of the Congress, Baiduram Kashyap of the BJP, Ramu Ram Maurya of the CPI, Panish Prasad Nag of the Ambedkarite Party of India, Manglaram Karma of the Akhil Bharat Samagra Kranti Party and Suresh alias Sargim Kawasi of the Shiv Sena. Last Assembly elections in the state saw Congress claim the largest vote share at 46.6 percent across the eight Assembly segments, while BJP got 34.34 percent votes, BSP got 3.55 percent votes and Janta Congress Chhattisgarh managed 3.11 percent votes. In Chhattisgarh, three polling booths from Konge and Pangud villages, classified ‘highly sensitive areas’, in Narayanpur district were moved to Chhote Bethia village in Pakhanjur panchayat of Kanker district. While this distance through the dense forests dominated by Naxals may be a couple of hours long, this distance by road is 214 km, which takes a good 5 hours 14 minutes in Chhattisgarh’s Red Belt, where road construction projects have been prime targets of Naxals. Moving the booths had resulted in nil or negligible voting until noon. While no votes had been cast at booth number 1 till 11 am, two votes were cast at booth number 2. Odisha, which also conducted the first phase of its Assembly polls on Thursday, had elaborate security arrangements in place to thwart any Maoist bid to derail the poll process. Following the attack on Mandavi’s convoy, Odisha DGP in-charge, Bijay Kumar Sharma, put the district administrations of Malkangiri, Koraput and Rayagada on high alert. Four Lok Sabha seats — Koraput, Nabarangpur, Kalahandi and Berhampore — and 28 Assembly segments (seven under each LS segment) had gone for polls in this phase. Special security arrangements were made at 2,375 sensitive polling booths, while satellite phones were provided at 810 booths with little or no mobile or internet network, Sharma said. Police sources said 12 platoons of armed forces and 31 platoons of Central Paramilitary Force along with BSF jawans had been deployed at various locations in these areas. Besides, flying squads, static surveillance teams, poll observers, videography teams and excise sleuths had been deployed in the LWE-affected areas. As many as 33 booths in Chitrakonda Assembly constituency under Malkangiri district have been identified as sensitive booths. The Election Commission relocated five highly sensitive booths from Malkangiri segment for safety concerns. 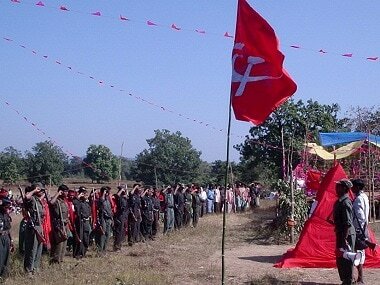 Also, 12 booths in cut-off areas that are Maoist strongholds were relocated to a BSF camp near Kuntarapadar. Helicopters have been deployed to move polling personnel and EVMs in sensitive areas. Rayagada Superintendent of Police, Saravana Vivek M, said all arrangements were made for voters to visit poll booths without any fear.